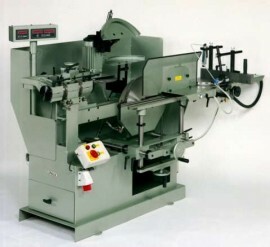 The notching machine model range AS offers the right machine for each possible use. Notching cuts are processed neatly and precisely. The AS range of notching saws use circular saw blades that are adjustable to each other which enables the processing of rectangular cuts as well as various notching processes at the profile bar end. 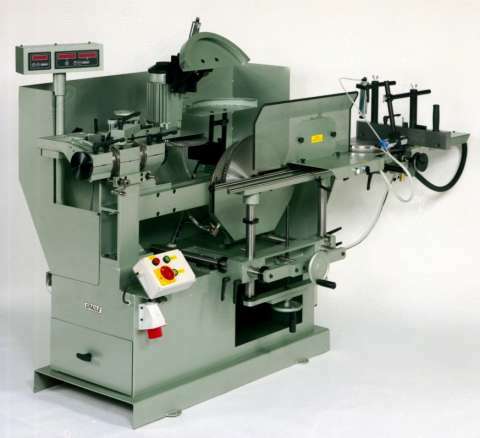 The AS U 450 has two independently arranged sawing units that enable various notches at the profile bar ends. A 450mm vertical saw blade and a 400mm horizontal saw blade provide the cuts. They can be swivelled within the range of +/- 45 degrees via a crank handle. The notching range at 90 degrees is 153mm high, 128mm deep and 250mm wide. The machine comes with the clamping set and spray attachment. There are optional extras for this machine including a digital angle display for two axes. The price does not include saw blades, packing and delivery and installation. The machine is built to order and has a lead time of 4 to 8 weeks depending on time of order. Price is subject to change due to currency conversion. Please contact us for more information and prices. *The picture shown shows the machine with the optional digital display unit sold seperately.